Unique designs from independent artists that are fully customizable until they are perfect. Luxe quality, including real foil. 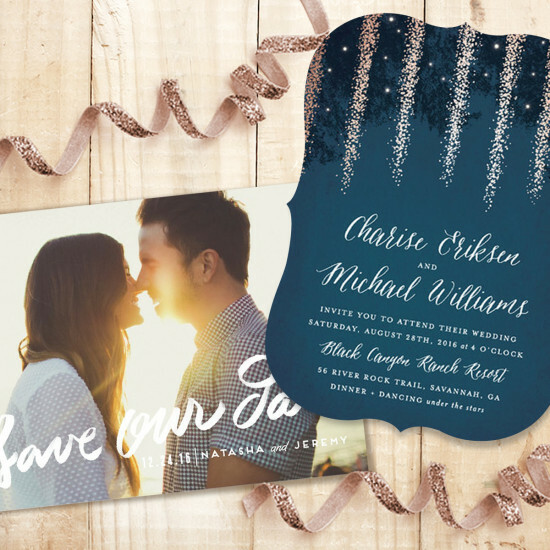 Matching envelope designs with FREE guest name printing to make your wedding stand out from the rest.